I was born in 1964. As my children so often remind me, that was a very long time ago. If you add 22 years to that date, it brings us up to 1986, and at that time, and for the two years that followed, I was a business student at the University of British Columbia. 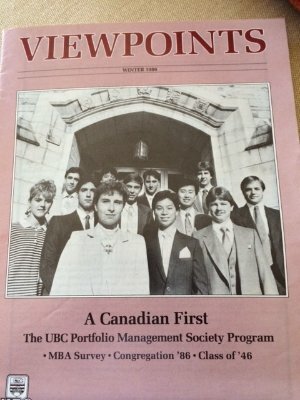 Early in that year, I had learned that I had been accepted into UBC’s Portfolio Management Program, which was designed to give students firsthand experience in money management. 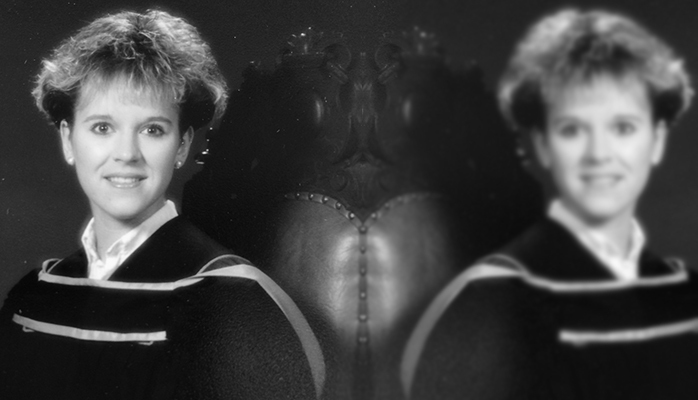 My time in this program convinced me to pursue a career in capital markets, and in June 1986, I headed to Toronto for my first internship in this field. Prior to this, my work experience included flipping burgers as a Dairy Queen employee, a salesperson at Foot Locker, a cashier at my father’s grocery story, a weight room attendant, and most recently, a passenger services representative with Princess Cruises. Not exactly sterling credentials for a future career in finance. Heading into my first position at a financial services firm at 22, what would I have liked to have known that I know now? What advice would I give my younger self to make it through my final years of college, into my first full-time role as an analyst at Goldman Sachs, and further into my career? Here it goes. markets. In the 1980s, there were very few visible and senior women in the industry, and I had many reservations because of this fact. I hemmed and hawed, thinking that perhaps marketing would be a better choice for me. After all, I was a “people person.” Getting into the Portfolio Management Program made all the difference for me in terms of being able to see myself working in the industry, despite the lack of female role models. I came to love my field, and today, I really encourage young women to consider a financial career, particularly in investment management, private equity, and wealth management. 2) Internships matter. They matter not just because they help to build a resume, but because they enable you to experience the day-to-day operations of your chosen profession. At the time, I certainly tried to make the most of my job experiences, but had I known how truly important they were, I would have worked even harder to ensure that I got everything I possibly could out of them. 3) Take the long view. I was lucky to have multiple job offers when I graduated from university, and I almost chose to go to a Canadian firm that had offered me a full-time position instead of going to Goldman Sachs for a two-year analyst position. I was agonizing over the decision when a mentor finally said to me, “Better to take the lesser job at a better firm and prove yourself, than the better job at a lesser firm.” I accepted Goldman Sachs the very next day. 4) Ask for promotions. I was one of those women who thought that if I kept my head down and worked hard, then good things would happen. Midway into my career, I almost left Goldman Sachs for a position at Merrill Lynch because I did not get a promotion I thought I deserved, but for which I never asked. When I went in to resign to Mike Mortara, the head of fixed income at the time, instead of accepting my resignation, he took me to lunch to personally ask me why I was leaving. I went on a rant that outlined just how hard I was working, how profitable I was for the firm, how I deserved to have a bigger trading book, how I was being taken advantage of, and how Merrill recognized my value and was going to give me a heck of a lot more money. If I hadn’t been crying by the end of it, he might have laughed at me. Instead, he recommitted to keeping an eye on my career (Point 4.5: Sponsors: ask for them!) and apologized for not doing so. I made him promise by actually writing down on paper that he would look for leadership opportunities for me, that he would get me a better trading book, and that he recognized what I would be leaving on the table by not going to Merrill, and that he would help me make up the wage disparity. He lived up to all of that and more, and in turn, I recommitted to doing the best I possibly could in my job at Goldman Sachs. 5) Sexual harassment. I wish someone would have told me that I was likely to experience it, and what to do when I inevitably did. When I was an associate, I experienced extreme sexual harassment at the hands of a senior professional. No matter what I did to try and keep things professional, it kept happening on a regular basis to the point that I almost had to leave my job because of the stress it induced. It started when I was an analyst, just 23 years old at the time, and I had no way of understanding why anyone would behave in such a manner. To me, it felt all about power, and I felt I had none. This was also the 1990s, when policies were not as clear on the subject as they are today. Because it was not talked about, no one talked about it. Human resources may have given a briefing about it at some point during training, but it did not register in any way that when it actually happened to me, something could be done from the firm’s perspective. At the time, it would have helped me greatly if I had heard other women sharing their stories, and more importantly, their strategies and methods for dealing with it. I believe that this would have given me the courage and the ability to not personalize these experiences and respond in a more productive manner. At the time, I wasted so much energy protecting myself and questioning myself. Had I known what I know now, I could have redirected that energy into my performance as a trader and my overall career path. I really could go on and on, as I knew next to nothing at 22. The above is related to the early days of my career, but there is so much more I wish I would have known about other things that came up later in my career. Today, there are so many resources, such as LinkedIn, that allow you to not only get relevant advice to help you navigate the career highway, but to also provide off-ramps to better opportunities. I could have used some of these resources back then. So now it’s your turn. What do you wish you would have known at 22?